This Isn't Okami Papercraft. It's Something Better. Paper sculpture? That'll do. 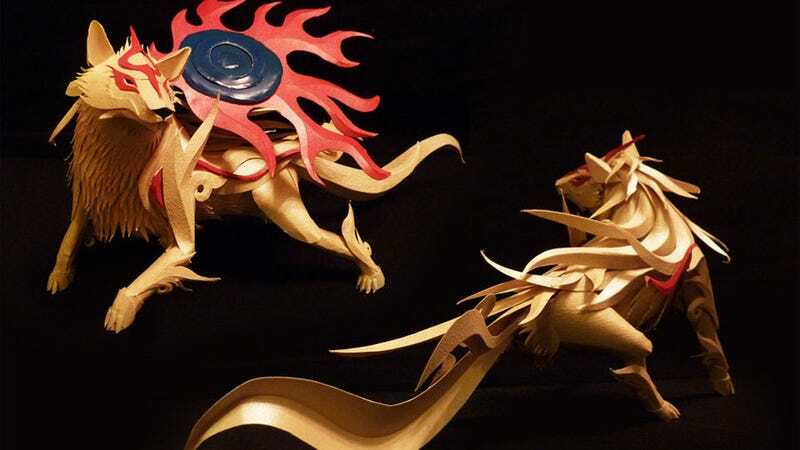 Built from paper and glue, Aussie artist Richi89's take on Amaterasu, the star of Capcom's Okami games is quite the sight. At around 23cm long, Amaterasu was made with a skeleton built from scrunched paper, on top of which the outer layers were laid like panels, then glued together. If you're impressed with a little video game dog, you should check out his DeviantArt page, which has some incredible, giant paper dragons.